Located only three hours from Paris (via the Autoroute de l’Ouest or the TGV), the Château des Lutz combines old world charm with modern comfort. 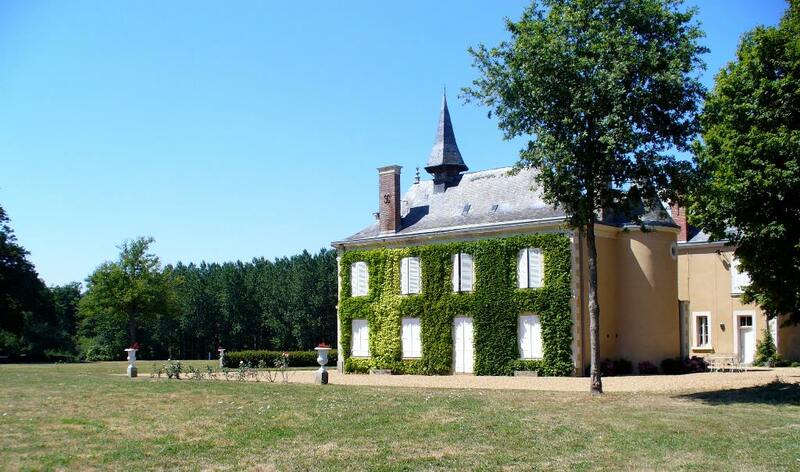 The proprietors, Louis et Séverine du Tertre, have created a perfect atmosphere and charm in their 1850 Chateau, where a warm welcome awaits you. The Chateau is situated in the heart of an exceptionally preserved country landscape, being an ideal base to relax or explore the riches of the region. There are four double rooms and one suite – each equipped with a separate bathroom and toilet, and guests can enjoy romantic candle-lit dinners served in its traditional dining room. Amenities include a billiard room, an « Orangerie » and a swimming pool in the grounds of the Chateau. 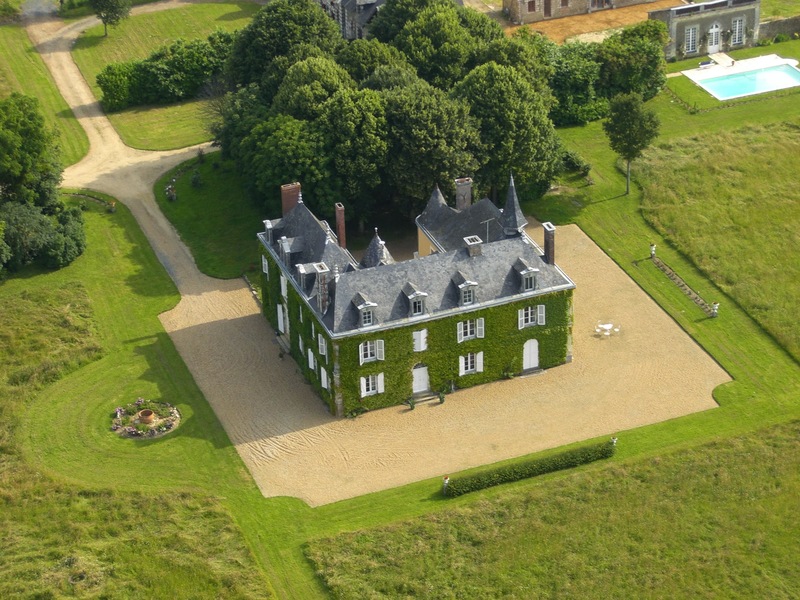 The Chateau des Lutz is in an ideal locality for those wishing to explore the surrounding places of interes, in particular the landing beaches, Mont St Michel and the chateaux of the Loire Valley, together with the « Son et Lumiere of the Puy du Fou » as well as the famous seaside resort « La Baule-Pornichet ». 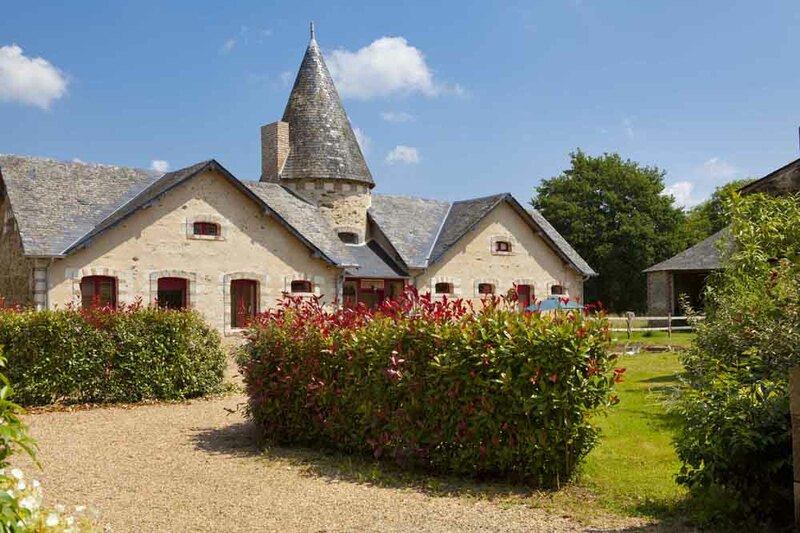 If you wish to extend your stay, you can enjoy fishing in the Mayenne, horse-riding on private trails, playing tennis or golf, as well as “hot air balloon” trips directly from the Chateau grounds. Cultural events include the « Festival d’Anjou » or « Les heures musicales du haut d’Anjou ». Also, there are sporting events such as the 24-hour Le Mans circuit, « le mondial du Lion d’Angers » and « les Equitonales ». Visits can be arranged to local vineyards and/or for those upcoming artists, art lessons with authentic painters from the « Beaux Arts » can also be organized. Private parties and weddings can be catered for as well. With so many diverse activities to choose from, your stay at the Chateau des Lutz will entice you to pay a return visit at some future moment.